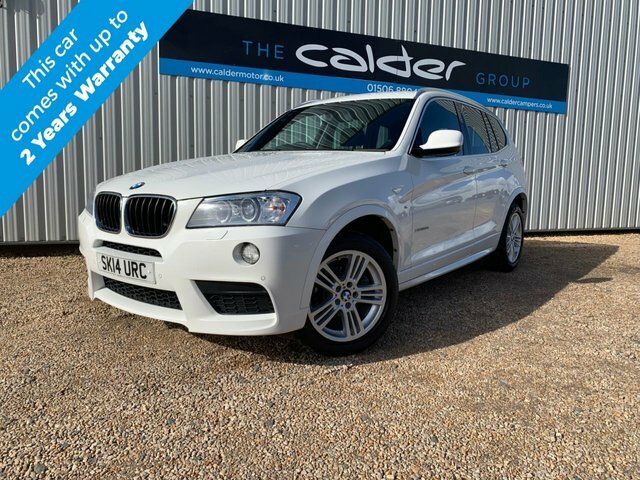 STUNNING X3 FINISHED IN ALPINE WHITE WITH FULL BLACK LEATHER TRIM, THIS CAR HAS A FULL BMW MAIN DEALER SERVICE HISTORY WITH 3 SERVICES CARRIED OUT SO FAR AND WE WILL ALSO GIVE THE CAR A MAJOR SERVICE BEFORE DELIVERY. GREAT SPEC WITH HEATED SEATS, REVERSING CAMERA, SPORTS STEERING WHEEL WITH PADDLE GEAR SHIFT, PRIVACY GLASS, POWERED TAIL GATE, PARKING SENSORS, BLUETOOTH, VISIBILITY PACKAGE WITH AUTO XENON LIGHTS ETC. ONLY ONE FORMER KEEPER SINCE NEW WITH FULL BOOK PACK, TWO KEYS, FULL BMW SERVICE HISTORY. 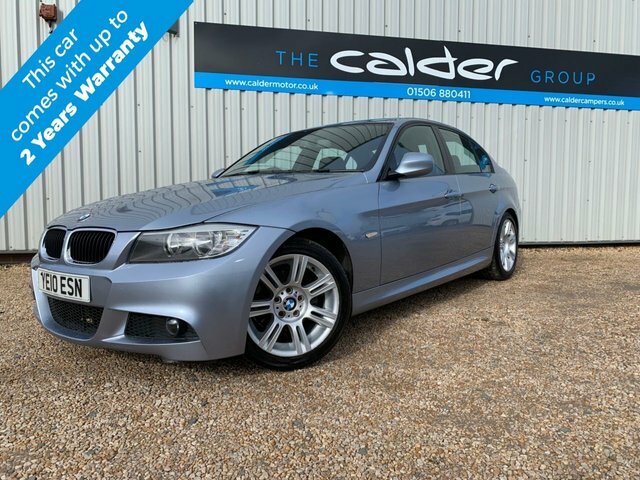 Calder Motor Co Ltd is the best place to find great deals on used BMW cars for sale in West Lothian. With years of experience helping motorists to track down their dream vehicles, our team is well placed to make sure you find a used BMW to suit your budget and lifestyle. Outstanding deals are available on nearly new hatchback models such as the BMW 1 Series, as well as stunning two-door rear-wheel drive coupés like the BMW 4 Series. All of our used BMW cars are given a thorough inspection before arriving on the forecourt, so you can drive away with complete peace of mind. Browse our latest range of used cars now.